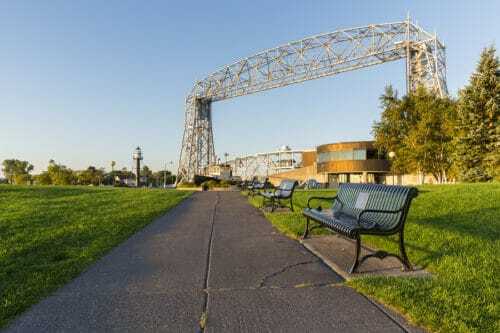 Canal Park has everything for a relaxing and fun summer day in Duluth. This converted warehouse district offers great restaurants, eclectic shops, museums, and fantastic views of Lake Superior. Find iconic Duluth landmarks here such as the Aerial Lift Bridge and the Duluth North Pier Lighthouse. Spend the day discovering local history at the Lake Superior Marine Museum or catch a show at the Duluth Entertainment Convention Center. Or just enjoy a sunny summer day walking along the shoreline on the scenic Lakewalk path. And the beautiful Solglimt Bed and Breakfast is found within this diverse and charming neighborhood. Enjoy our gourmet breakfasts each morning with stunning lake views, after a perfect night’s rest in our luxury guest rooms. Book your summer getaway with us for a restful, restorative vacation just steps away from the best neighborhood in Duluth. Charming shops and cafes line the streets of Canal Park, making it a destination for tourists and locals alike. The cute shops carry everything from fine arts, jewelry, antiques to unique Duluth items. Most stores are along Canal Park Drive but also be sure to stop at the Dewitt-Seitz Marketplace. This historic converted warehouse holds dozens of retail shops and restaurants all under one roof. With choices from pubs to romantic cafes, the dining options are endless in Canal Park. Sample local beer or take a tour at a Duluth brewery. Canal Park Brewing Company has a large choice of craft beers and a generous patio with spectacular lake views. Other popular places for casual dining are Little Angie’s Cantina for American-Southwestern food, and Grandma’s Saloon & Grill is a fun place located near the Aerial Lift Bridge. Or plan a date night at an intimate restaurant with an amazing wine list. Lake Avenue Restaurant and Bar has great local seafood. 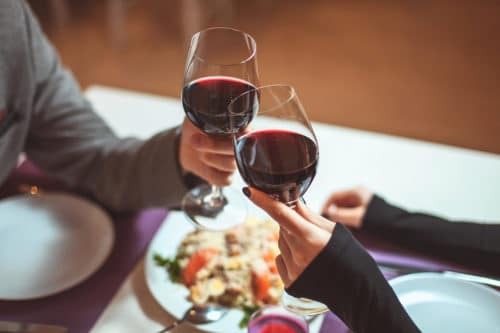 Find fresh Italian food at Bellisio’s Italian Restaurant & Wine Bar. While Cloud 9 Asian Bistro offers wonderful sushi and hibachi dishes. With museums, entertainment, and a beautiful lakeside walking trail, there’s always something to do in Canal Park. Spend an entire day at the fascinating Lake Superior Marine Museum. Learn about Duluth’s shipping history with the detailed displays and artifacts. The museum’s location also offers the best view in the city for watching vessels entering and leaving Duluth harbor. For even a closer look walk up to the Aerial Bridge and Shipping Canal to see the huge ships come in from around the world. 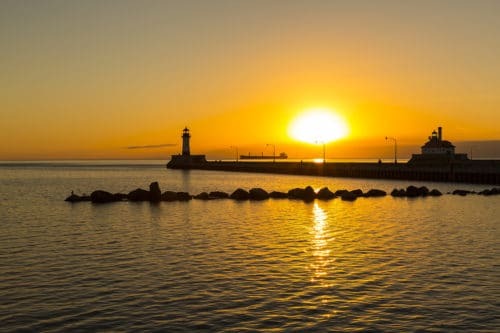 Afterwards, stroll up to the Duluth North Pier Lighthouse for limitless views of Lake Superior. Walking or biking the scenic Lakewalk path is mandatory for any summer vacation in Duluth. This four-mile paved bike path and pedestrian walkway hugs the beautiful shoreline of Lake Superior. In addition to continuous gorgeous water views, it also connects all the landmarks, shopping and dining areas in Canal Park. After a day exploring, plan a fun evening at a concert or performance at the DECC. Catch a world famous band, musical artist or a popular broadway show. Then complete your day with a romantic dinner, just a short stroll away. Take advantage of this vibrant area of Duluth while staying at the Solglimt Bed and Breakfast. Reserve your room at our lakefront location before summer slips away.